Kate Moss. Glastonbury. Rain. 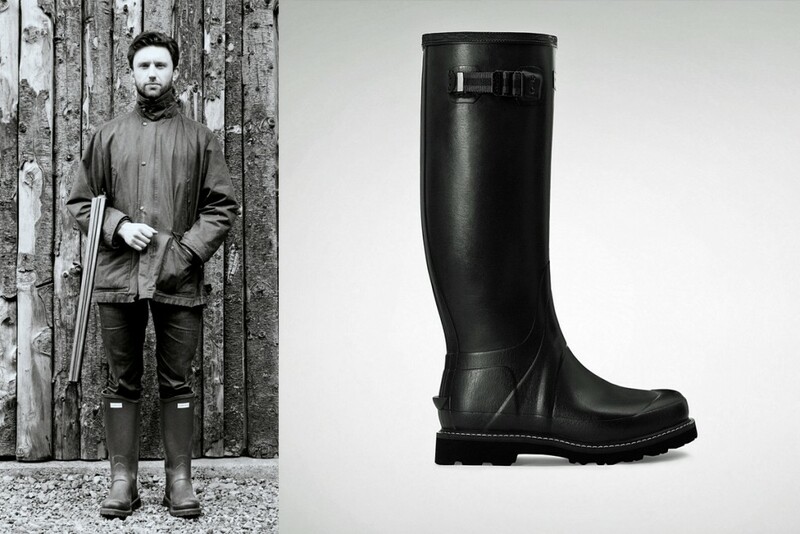 Three things that immediately spring to mind when somebody mentions Hunter wellies. Ever since the model debuted her iconic wellington boot and hotpant combo in 2005, the company has become synonymous with fun, vibrant boots in a variety of quirky finishes and colours. However, whilst great for festivals and rainy walks in the country, they weren’t ideal for more rugged outdoor pursuits. Hunter have introduced the superb new Balmoral Sovereign II for AW15 to satisfy this demanding market. What makes it so different from the Originals and the old Balmoral Sovereign boot? Quite simply the excellent addition of a Newflex Vibram® outsole. Hunter have joined forces with the Italian based company to create a rugged sole that can withstand the rigours of daily wear in muddy conditions. It has been designed with ‘commando’ cleats, which help offer its wearers added traction in the poorest of ground conditions. Plus, if you’re worrying that the addition of such a sole will mean wearing these boots during shoots or gardening a chore, just stop! It has been specifically designed with weight and flexibility in mind, to ensure that your feet remain as comfortable as possible. Combine this with either the 3 mm or 5 mm moulded insole supplied with the boots, and you really will feel the difference at the end of a long day’s wear. It’s not just the sole that’s been improved either. The leg is now constructed from a softer rubber compound that still offers the durability and movement required from a day-to-day boot. This has then been combined with a unique leather leg and neoprene foot construction to offer warmth and comfort on even the coldest of days. 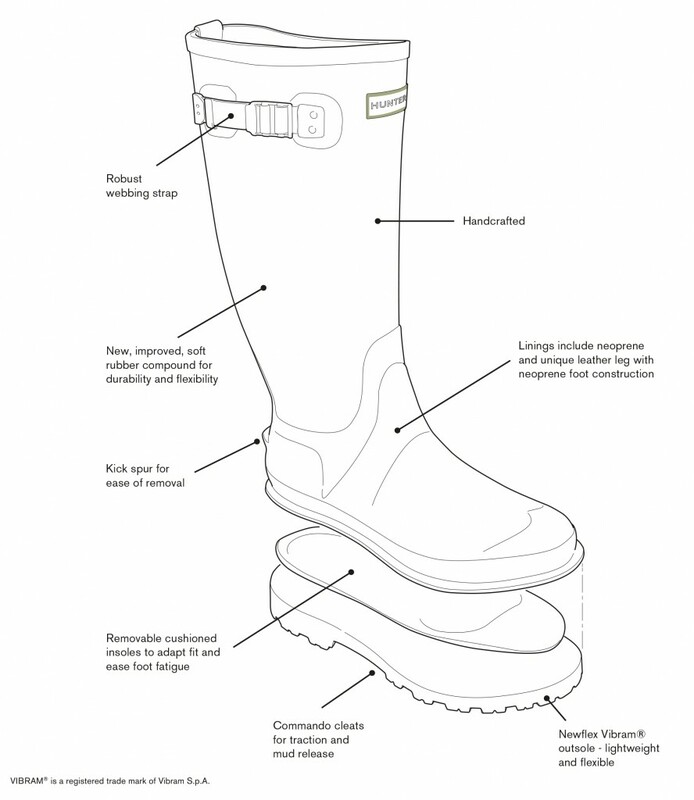 So if you’re looking for a great technical wellington boot, comfortable yet durable enough to withstand a day out farming, shooting or gardening, what are you waiting for! This great value boot is available from just £220.00 at philipmorrisdirect.co.uk. boots, Comando Sole, hunter, New product, Review, Vibram, Wellington. Bookmark.